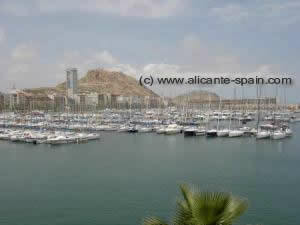 Alicante city guide with videos of Alicante, the castle Santa Barbara and other sightseeing attractions. Let me show you around my new hometown. 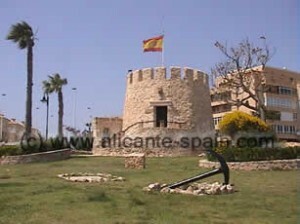 Perhaps the best know city around the Costa Blanca. Enjoy a ride along Benidorm's lively beaches, entertainment parks, bars and restaurants. 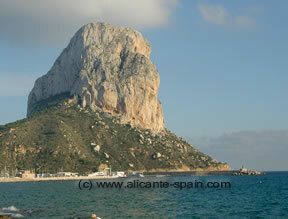 Calpe a first class address for tourist from all over the world to enjoy great local food and a breathtaking view at the Penon de lfach rock. Watch the video. 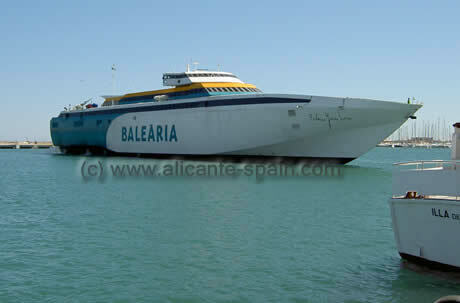 The city of Denia with its ferries is the vital link to Ibiza and Mallorca. Its large fishing port hosts a large number of really excellent seafood restaurants. 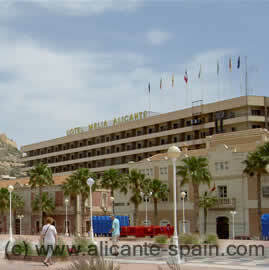 Living in Alicante, we have to find a decent hotel whenever we get friends visiting us. From a sightseeing point of view, I would recommend . 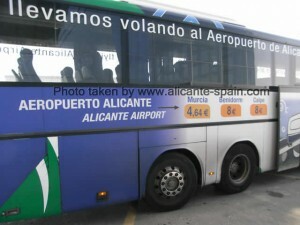 How to get from Alicante Airport to Downtown Alicante, Benidorm, Denia, Elche, Murcia and Torrevieja by Bus. A detailed hands-on explanation. Murcia, next to the province of Alicante, just south of the Costa Blanca area, is my favourite spot for shopping. Located close to the Torrevieja and the La Manga area it is ideal if you need to do a bit sightseeing with shopping combined. Overview on the central train station in downtown Alicante as well as the Tram narrow gauge railway station. Including a map and details on how to connect to them from Alicante airport. A detailed guide including a map of car hire companies at Alicante airport, where to pick-up your car and where to return it. 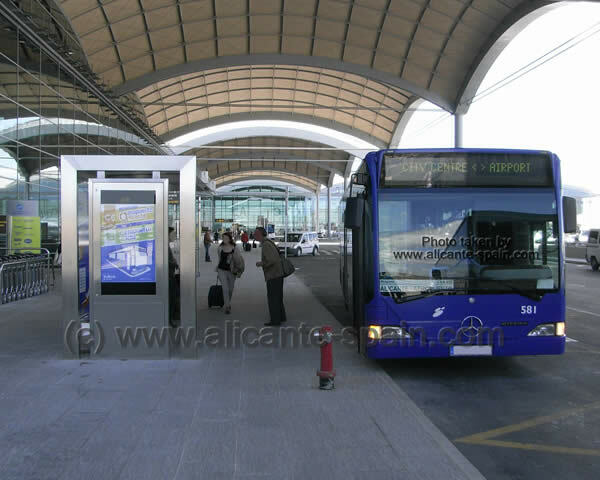 Information about the central bus station in downtown Alicante, including a map and details how to get there from the airport. 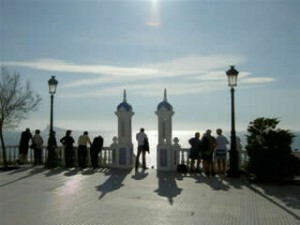 Which airline flies directly to Alicante. Where to get cheap flights? A detailed overview. Becoming increasingly important for the northern Costa del Sol area, Malaga airport attracts thousands of tourists every year. General Overview on Spain, the country, its people, languages and the great food. La Manga and the Mar Menor area at the Costa Calida, south of the Costa Blanca are world famous for excellent golf courses and an breathtaking lagoon. How far away is Alicante from Madrid, Barcelona or Benidorm. 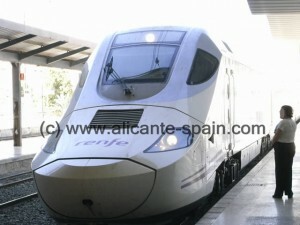 A guide distances and on how to get there from Alicante. An overview on the entire Costa Blanca area. Ideal for first time visitors to get an idea of where each city is located. Interesting sightseeing attractions for the city of Moraira and how to best get there from Alicante. A real alternative to the airport in Alicante, the San Javier Murcia Airport is the closest airport to the southern Costa Blanca area. 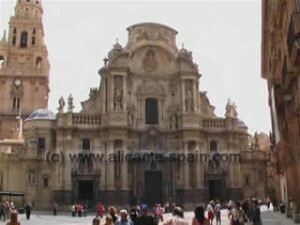 Tips on car hire in Murcia and at Murcia Airport. 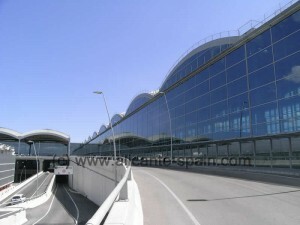 Includes listing of rental car companies available at Murcia's San Javier airport.